The decision to study abroad is a very serious step. You have to plunge into a foreign culture, adapt to new conditions, get used to a new climate and gradually learn Russian. But don’t fear the difficulties! 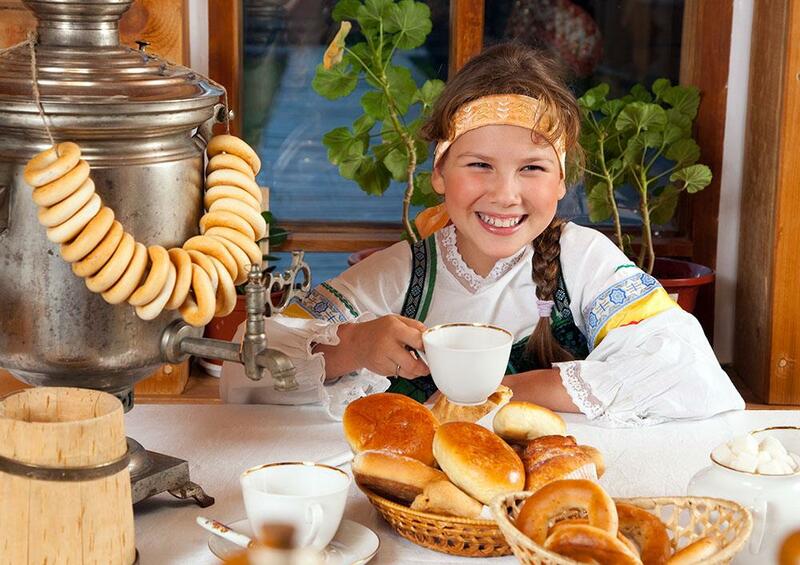 The Russians are known for their hospitality and friendly manners, they will always help you. The most important thing is to prepare the required documents. Here you will find all the necessary information. A student in Russia needs USD 300 to 400 per month on average or USD 3,000 to 4,000 per academic year (September to June). It's better to start with a further USD 300 to 400 for extra expenses like medical insurance, living arrangements in an apartment or dormitory (buying dishes, bed linen, detergents etc. ), and to purchase books. The rouble’s decline against the world currencies merely plays into the hands of foreigners since their expenses are reduced when converted into dollars: it would be cheaper to pay for education and living in the country. 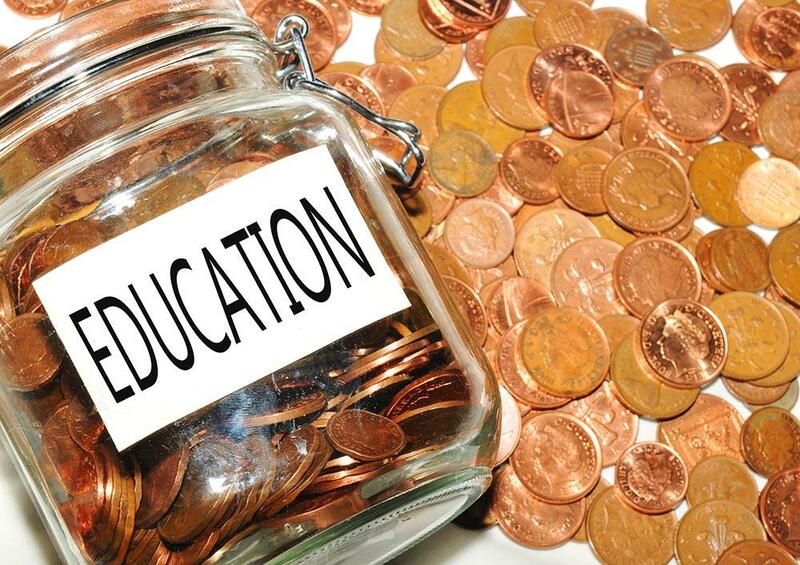 When you select a city for education, please keep in mind that the highest prices are in Moscow and Saint-Petersburg, while expenses in other regions will be lower. 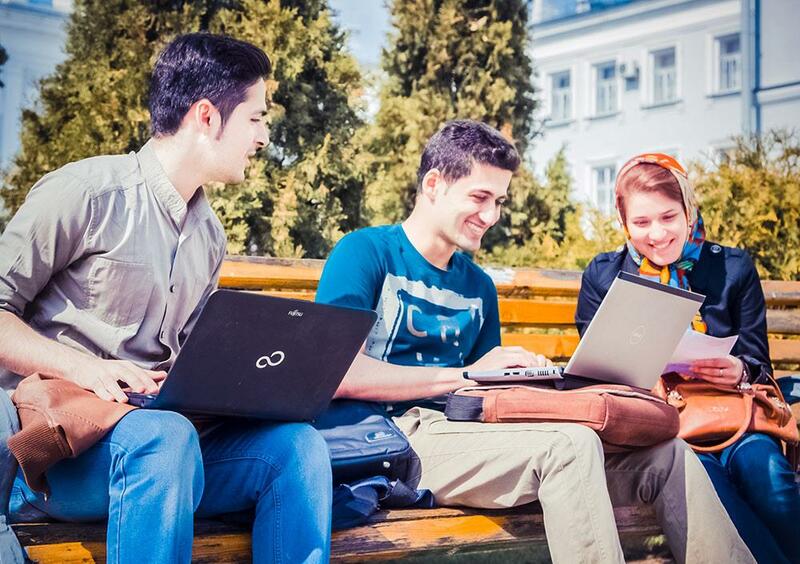 The tuition fee at Russian universities varies from RUB 65,000 to 350,000 (USD 1,080-5,830) per year depending on the region, university, and discipline. The students who are admitted to state-funded places on a competitive basis or who are awarded a government scholarship (quotas) study free-of-charge. Those students receive an allowance (the average monthly allowance in 2017 is RUB 1,340/USD 23). The price of rented student accommodation in Russia varies from 150 to 35,000 roubles (USD 2,5-583) per month depending on the region, type and location of the lodging (dormitory, rented room, or apartment). A voluntary medical insurance policy (VMI) for students at Moscow universities costs from 6,000 to 9,000 roubles (USD 100-150) a year. The insurance shall cover the entire education period, though universities request that policies are paid by the year or the semester. 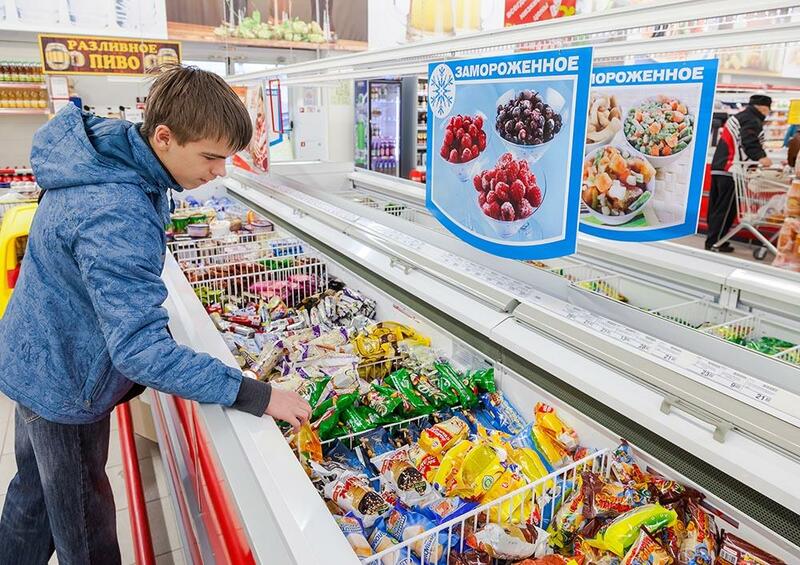 According to official information, the minimum shopping basket (including bread, pasta, meat, fish, vegetables, fruit, milk, and sugar) in Russia costs from 3,500 to 5,000 roubles (USD 58-83) a month depending on the region. 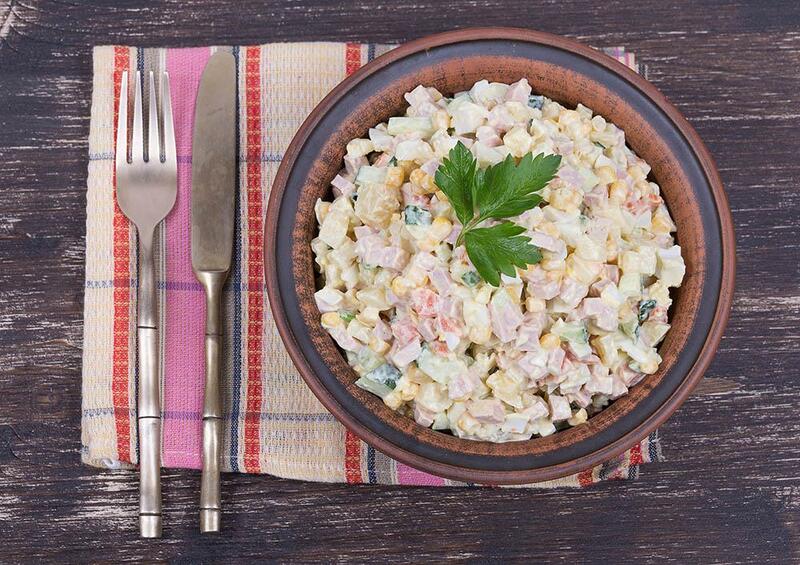 Russians estimate their monthly meal expenses to fall between 8,000 and 20,000 roubles (USD 130 to 330). Much depends on the region where people live and what and where they buy (corner shop, supermarket, market). 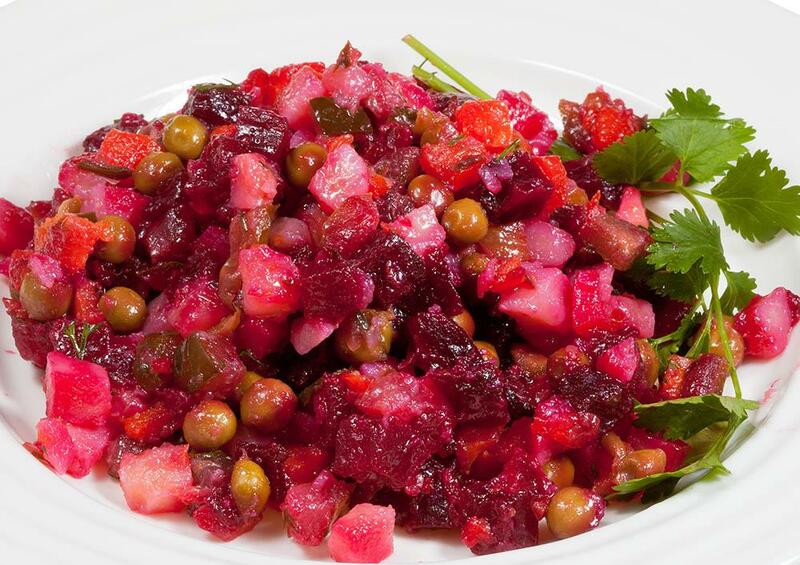 An average lunch check in Moscow cafes and restaurants ranges from 700 to 2,000 roubles (USD 12-35), while a set lunch costs between 230 and 404 roubles (USD 4-7). Fast-food prices are even lower. A single journey on the Moscow subway costs 55 roubles (about USD 1), while a 20-journey travel card costs 720 roubles (USD 12). Using a student discount one can get a monthly Moscow underground card for 380 roubles (USD 6), the cost is even lower in other cities. SIM-cards for mobile phones and tablets are sold in phone stores (do not buy them from street sellers). You need a national passport (indicating registration at your place of residence) and a migration card to buy a SIM-card. Ask in store for advice on the best rates (cost of calls, sms-text, data, etc.). The cost of a standard package of services ranges from 200 to 300 roubles (USD 3-5). When you buy a SIM-card, the cost of the card is credited to the phone number account and then you top up the balance depending on the tariff plan. Dormitories offer payable or free Internet access. When you rent an apartment, you are usually asked to pay for Internet separately, about 300 to 500 roubles (USD 5-8) per month, depending on the region, provider and rate. There are plenty of chain stores of popular brands, both international and Russian. The clothing prices are generally higher than in Europe but high-quality and cheap clothing can always be found during the sales. For example, you can find a T-shirt for 300 roubles (USD 5) or jeans for 1,300 roubles (USD 21). Moscow theatre tickets cost from 500 to 2,500 roubles (USD 8-41) and cinema tickets, 150 to 500 roubles (USD 2,5-8). A museum costs 100 to 1,000 roubles (USD 1,5-16). Many cultural centres offer discounts for students, and some museums can be visited free with a valid student card. The average cost of a monthly pass to fitness centres varies from 1,700 to 4,500 roubles (USD 26-75) in Moscow and from 1,500 to 3,400 roubles (USD 13-56) in other regions. When you buy an annual pass, the average monthly cost will be lower. A monthly swimming pool pass costs 300 to 500 roubles (USD 5-8) in Moscow and less elsewhere. Many universities have their own gyms, swimming pools, and sports centres where services are cheaper than in the city or even free for university students. 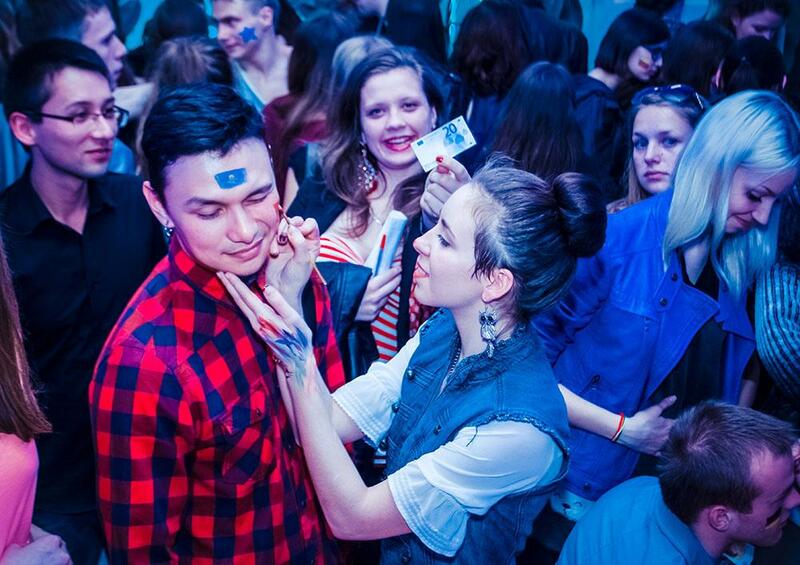 Entry to clubs in Russia is generally free of charge, and visitors buy drinks and snacks. The average price of a cocktail in Moscow clubs is 400 roubles (USD 6) and 300 roubles (USD 5) in other cities. 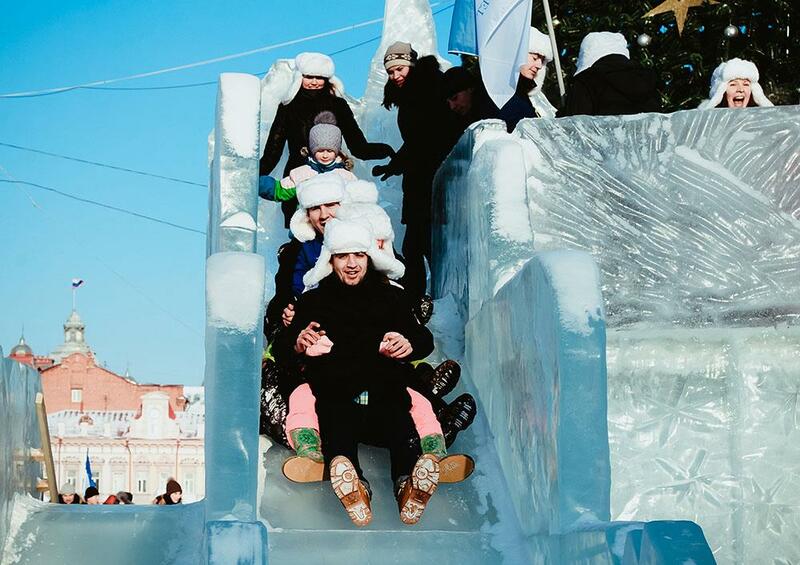 Young people in Moscow spend 2,000 to 5,000 roubles (USD 33-80) per weekend. Prices are quoted in roubles. Subject to dormitory accomodation. © FEFU The most typical lodging options for an international student in Russia are a university dormitory, a rental apartment or a host family. It is very important to find the best option within your budget. Consider all 'pros' and 'cons' before committing yourself to an option. The choice of the place where you will stay in a sense defines your academic success.University Dormitory. This is the most affordable option. International and out-of-town students are provided with dormitory places. Normally they are located on the campus or not far from the university. In most cases from 2 to 4 students share a room. In a typical dormitory room you will find writing desks, chairs, closets, bookshelves, beds and nightstands. University dormitories are normally equipped with shared kitchens, gyms, recreation rooms, canteens, and laundromats. There are also locker rooms and bicycle sheds available. A security service operates on the premises. The accommodation fee is set by the university. It may vary from 150 to 5,000 roubles per month, depending on the university and the city, and makes it a much cheaper option compared to a rental apartment. Payments can be done on a monthly basis or per term. Sometimes you can even pay in advance for the whole academic year. In this case some universities may offer you a discount. Students who live in a dormitory must follow certain rules. The obvious ones are not to damage the furniture, keep one’s room tidy, not make too much noise (loud music, TV, etc. ), notify the hall of residence supervisor of one’s long absence. 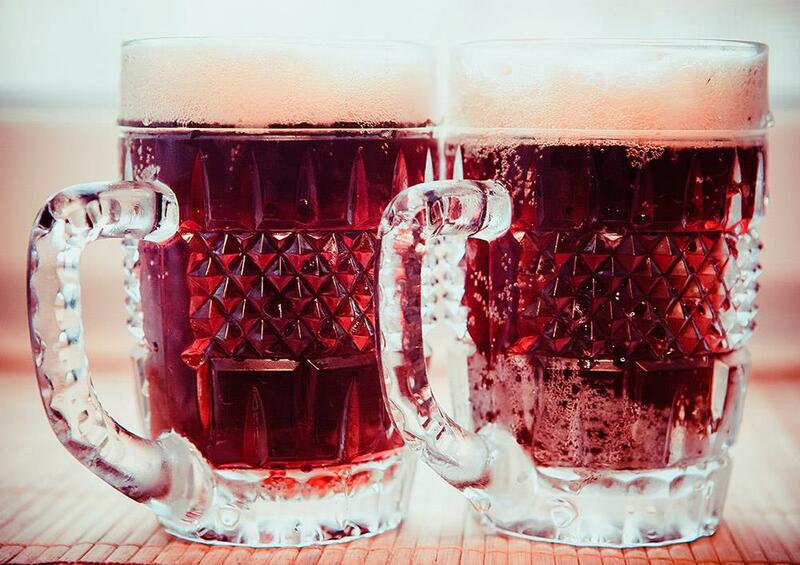 There is a zero-tolerance policy on drinking and smoking in Russian halls of residence. You will be informed about these rules upon arrival. a part-time student, enrolled in main educational programmes (during interim and final exams). Ask the representatives of your university whether you qualify for a place at a dormitory when you are submitting the enrolment application, or search the university's website. If everything suits you, you can proceed to submit your residence application. Remember, you can get a place at the dormitory through the representatives of the university only, and only under a tenancy agreement. Companies and agents who claim that they can find you a place at a dormitory are fraudsters. Rental ApartmentIf your university does not have a dormitory or for some reasons you don’t consider it as an option, then it is advisable to look for a rental apartment or room. Naturally, it will be more expensive, but you will be able to find a location and level of comfort that suits you. If you plan to rent an apartment with your fellow students or stay with a host family, you will be able to choose your neighbours. Moscow and St. Petersburg are well known for having the most expensive apartments. The smaller the city is and the farther it is from major cities, the lower the rent is. For example, as of 2017 in Moscow, depending on the location and facilities available, a bedsit will cost you around 30-35 thousand roubles a month, and a room around 15-20 thousand roubles a month. In Novosibirsk, the same options would be 50% cheaper. Some universities help their students find lodgings, which includes finding host families. So, first ask the representatives of your university whether they provide such services. This ensures fast and secure search of lodging options. While looking for a suitable flat, you can stay at a dormitory. If your university does not provide such services, ask somebody for advice on realtors or try looking for an apartment on cian.ru, irr.ru, avito.ru etc. Keep in mind that apart from the rent you will have to pay a deposit (a security payment of 100% of the monthly rent) and the realtor's interest 50%-100% of the monthly rent). Russia is not more dangerous than any other developed country. Nevertheless, don't forget about basic safety even in the quietest of places. Stay alert while in public transport or in the crowd, do not get too absorbed in your gadgets. Do not go around the city with your bag or backpack wide open. When in a public place, hold your bag in front of you. Do not display valuable items, such as – smartphones, tablets, expensive watches or jewellery in public. Try not to have large sums in cash on you. Do not keep your bank card PINs in one place. Take the same safety measures you would when shopping or communicating online as you do at home. Do not tell anybody your bank card PIN or any other confidential info. Do not ask people you do not know to look after your belongings and do not agree to dubious offers or services. Do not hang around with suspicious-looking individuals or people you do not know. Stick to official and reliable banks or companies when dealing with bank or phone cards as well as exchanging currency or making money transfers. Do not purchase SIM cards from stalls in the street: the potential scam risk is too high. It is better to go to the nearest phone shop or general store. If you need to withdraw cash, particularly a large sum, it is better to do it in a bank outlet or at an ATM, located in a secure, dedicated place. Do not change money with people in the street; the risk of getting phoney money is quite high. Clubs and parties are fantastic, but do not forget about basic safety. If you are going to a concert it is better to bring some friends along. At an entertainment venue, try to stick together and keep an eye on each other's belongings. When the party is in full swing it is quite easy to be left without your bag, money or documents. It is safer to get home by public transport or by taxi. If you decide to walk, stick to well-lit streets. Try not to draw unwanted attention to yourself. If you spot some rowdy people up ahead, cross the street and proceed on the opposite side. Do not pay attention to their calls. It is not a good idea to flag down a taxi, as: there is a good chance of getting a taxi driver who does not have a licence. Such people may include actual criminals – you risk not just losing your money, but also not getting where you wanted to get. Hire a taxi from an established company. It is safe and the fare is fixed. In a big city you can quickly find a taxi using a mobile app, such as Uber or GetTaxi. Cross the road only at designated pedestrian crossings. Prior to crossing the road first look left then right and then, if there are no cars approaching, cross the road. When off university campus, it is recommended to carry your passport, student ID and migration card with you. Do not be surprised if a police officer asks to see your ID. It is one of many counter-terrorism security measures taken not against you, but for your own safety. The threat of terrorism, one of the most serious global concerns, is taken very seriously in Russia. Russia is quite successful in counter-terrorism and takes special care about the security of Russian citizens and foreign nationals. Do not panic during security and ID checks. It is a standard crime prevention practice. Keep the emergency call numbers at hand and call even in the slightest danger. General Rescue Service 112 (landline and mobile phone). Fire-Fighting Service 01 (landline), 010 (mobile). Ambulance 03 (landline), 030 (mobile). Gas Service 04 (landline), 040 (mobile). 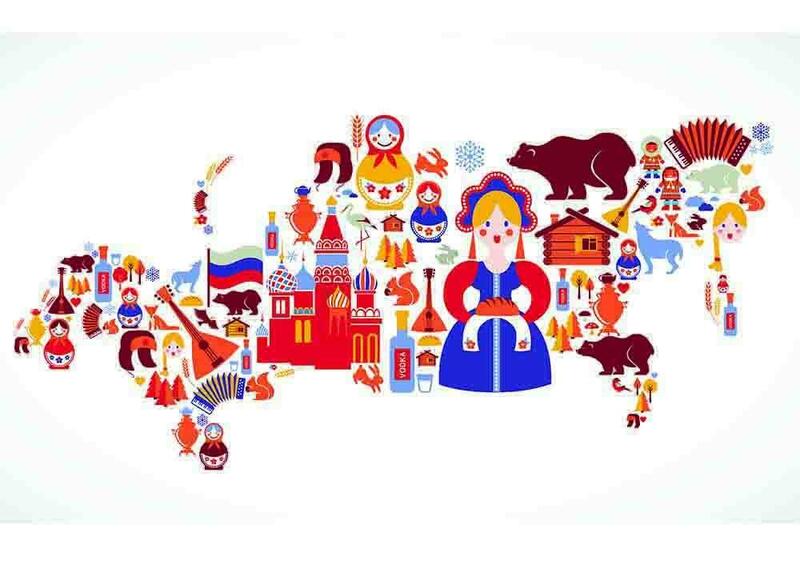 Russia is a vast country with enormous distances, but even if it is your first visit to Russia, it is not difficult to get to a destination on your own. The main thing is to plan your route, like during a journey to any unfamiliar places. Usually staff will send detailed instructions on how to get to the university. It is easy to find your way around in Russian cities with mobile maps that work without Internet access (OsmAnd, Mobile Yandex maps, 2 GIS and others). Don't forget to download them before your journey. You can get from the airport to the city using various forms of transport. Most often these are regular buses, fixed-route or private taxis, and suburban trains. Express trains operate in some major cities from airport terminals. The advantages of buses and fixed-route taxis are that they are inexpensive and frequent (every 10-15 min). They can be found at bus stops at the airport. Buy tickets in special kiosks or on the bus. You can get from Moscow airports to the city for 50-100 roubles and by fixed-route taxi for 70-120 roubles. Prices are even lower in other Russian cities. For example, the Plus Metro rate (1 journey by train + 1 journey by metro), Airport-to-Airport (2 journeys by aeroexpress + 1 journey by public road transport) and other Aeroexpress tariffs are available from Moscow airports. High-speed trains take passengers to the city centre. They are fast, comfortable, frequent (every 30 min. ), they have more luggage space, and different tariffs are available online. For example, the Plus Metro rate (1 journey by train + 1 journey by metro), Airport-to-Airport (2 journeys by aeroexpress + 1 journey by public road transport) and other Aeroexpress tariffs are available from Moscow airports. It's relatively easy to find ticket offices for express trains by following special signs at the airport. You can also buy tickets at the airport, but it is cheaper to purchase online. 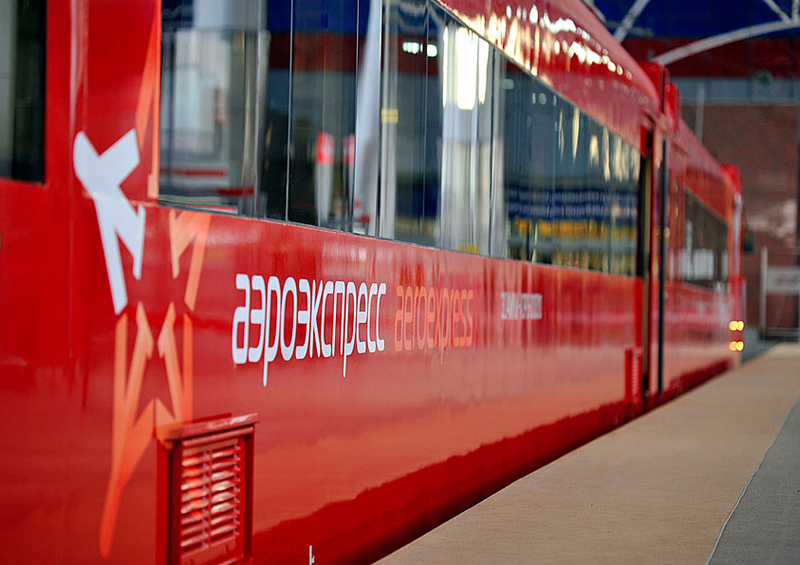 1 journey on the Moscow express costs 420 roubles.Tickets are cheaper in other cities. For instance, a high-speed train from Koltsovo Airport will take you to Yekaterinburg for 20-50 roubles. High-speed trains also operate from the airports of Vladivostok and Sochi. A journey from the airport to the city by standard train will take longer and be less comfortable than by high-speed transport but it will be several times cheaper. Tickets are sold at ticket offices. The most expensive option is to get a taxi from the airport to the city: in Moscow and St. Petersburg the journey will cost from 1,000 to 1,500 roubles, but in Yekaterinburg, only 650 roubles. At railway stations and airports it is better to order a taxi at the information desk or online in advance. To avoid trouble, avoid using unlicensed taxis. 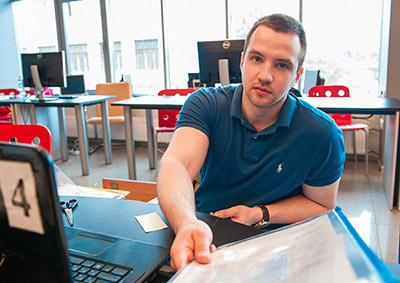 Many Russian universities offer students a transfer service for an additional fee. Learn about the cost and how to book from your university representatives. In Russian cities and towns you can get around by metro, bus, tram, trolleybus, and private fixed-route taxi. There are underground systems in Moscow, St. Petersburg, Novosibirsk, Nizhny Novgorod, Samara, Kazan, Yekaterinburg, and Volgograd. The larger the city, the higher the fare. In Moscow one journey will cost you55 roubles*, in St. Petersburg 45 roubles*, in Yekaterinburg just 28 roubles. *A journey by public road transport (bus, trolleybus, tram) will cost you 55 roubles* in Moscow, 40 roubles* in St. Petersburg, 20 roubles* in Kazan, and 16-18 roubles* in Tomsk. Discounts for students:monthly travel with a student social card costs 5 times less than a regular ticket. As soon as you get a student card, arrange a student travel or social card (depending on the city). Learn more in the "Benefits for Students in Russia" section. Before you receive your travel card, you can still save on regular travel cards using various tariffs. It is not worth buying tickets for 1 or 2 journeys. A travel card for several journeys (5 or more) will work out cheaper: the more journeys you purchase, the cheaper they become. 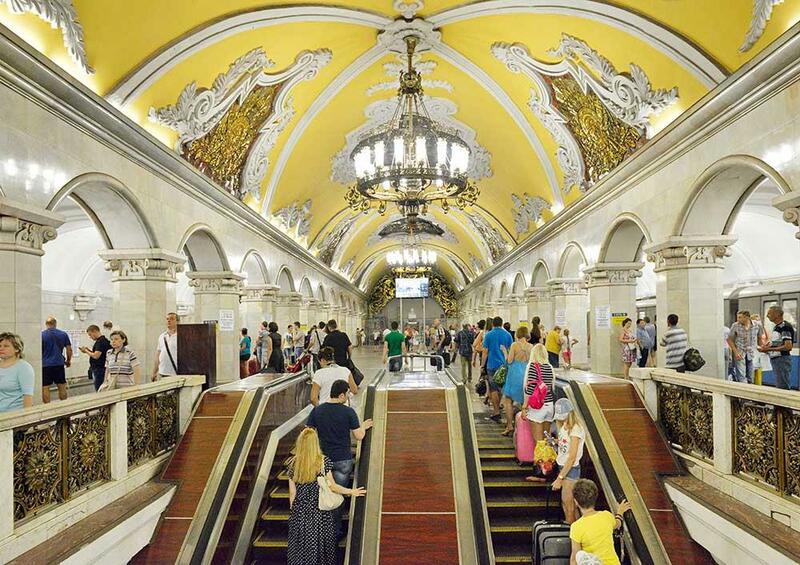 In Moscow, you can also buy a travel card at the "90-minute" rate, which allows you to make as many journeys as you like within an hour and a half, using both the underground and/or public road transport. Similar tariffs apply in other Russian cities as well. Tickets on public road transport can be bought from the driver, but they will be much more expensive than from ticket offices or special kiosks. Intercity travel is possible by coach, train, boat and plane. Discounts are also available for local trains (within one federal district): a 50% discount is available between September 1 and June 15. To apply this discount when purchasing a ticket or travel card, present your student card (student social card, depending on the region). 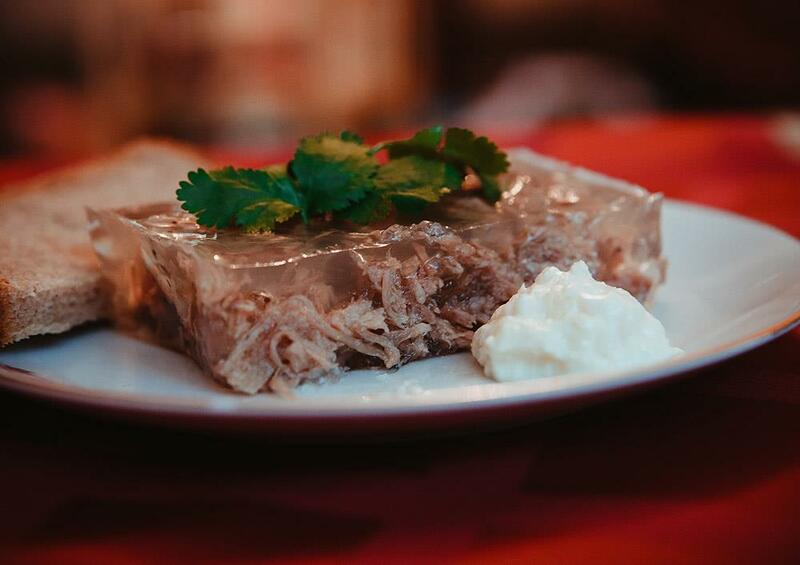 Like any other nation, Russians have certain traits that make up their cultural specifics. Knowing about such specifics beforehand, you will certainly feel better adjusted. Russians are renowned for their hospitality. They love inviting guests and are happy to visit their friends and acquaintances themselves. Generously served table is the main feature of such visits. 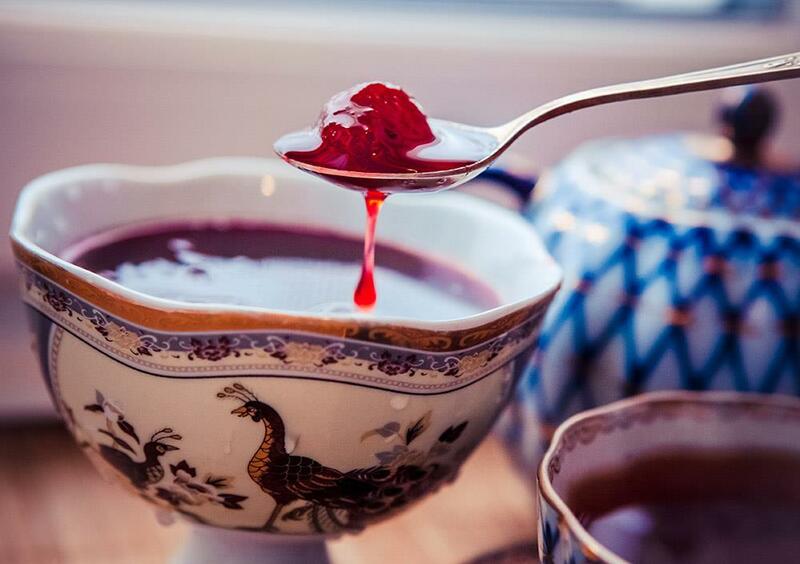 When a Russian friend invites you for a cup of tea, you are advised not to eat at all before the visit. 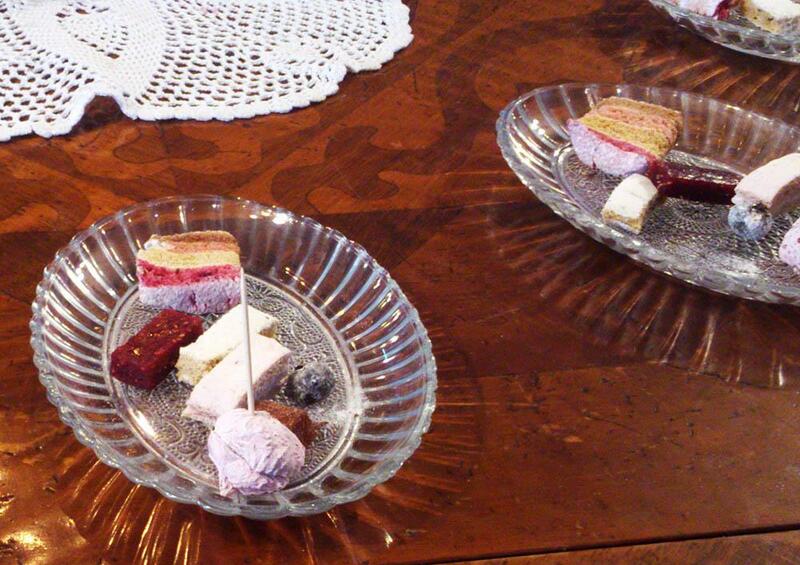 This is because Russians normally cover the guest table with almost everything edible they have in the house, including their home-made treats. A good housewife would be most disappointed to see an empty table in the middle of a party. For her, it would mean that the guests are still hungry and that the meals were insufficient. 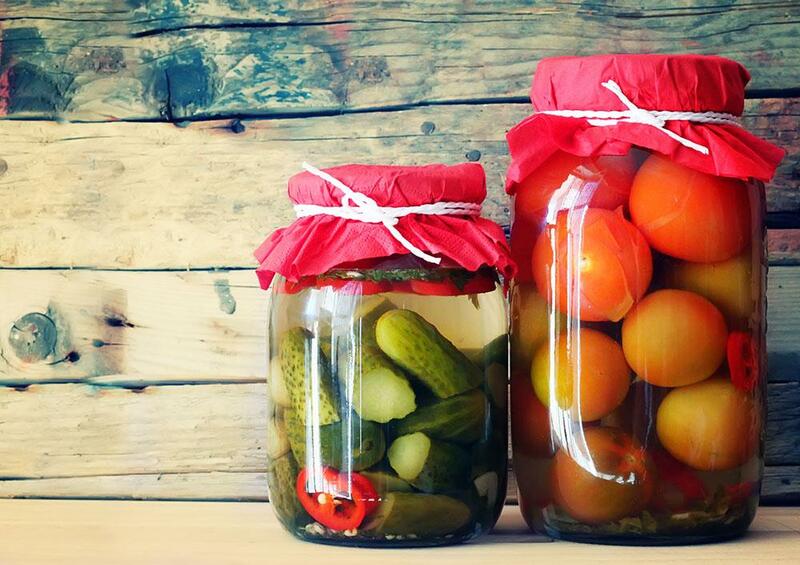 Russians don't visit friends and family unless they bring gifts. Even when you are invited to a modest meeting of friends and not some grand birthday party, you cannot arrive empty-handed. This may be a cake, candies, a bottle of wine, or a chocolate bar for the youngest family members. In fact, the gift itself is not so important. You just need to have one. Otherwise, you may be seen as a bit tight-fisted. Russians usually spit over their left shoulders when a black cat crosses their way, knock on a wooden item to avoid self-jinxing, and not whistle in a house to avoid losing money. If Russians have to return home after having forgotten something, they have to look in a mirror before leaving again. To ensure a trip will be safe and successful, Russians have to sit in silence for a moment before leaving. Many believe that a broken mirror or spilt salt may bring bad luck. Prior to an important event, such as an examination, Russians wish each other "Ni pukha ni pera" which correlates with the English "Break a leg!" and derives from a wish to a seeking hunter to gain neither beast ("pukha") nor bird ("pera"). Superstitious people believe that the opposite of whatever they wish will befall that person, i.e. good luck. The expected response is "K chertu!" meaning "To hell! ", as otherwise the wish will not come true. and they place a five-rouble coin under their heel during an exam. People believe that these actions could bring you good grades. Certainly, all superstitions should be taken with a pinch of salt. Friendship is a very important thing in the lives of Russians. A sincere friend might be valued higher than a blood relative. Friends' fidelity and loyalty are not just empty words for many Russians. They might start their friendship at primary school or at university and it will last throughout their lives. Russians are not the ones who keep their opinions to themselves. Many people have developed an opinion on many aspects – from ways to grow marrows to White House foreign policy. Westerners often believe that opinions are suppressed in Russia. However, Russians freely express their opinions in different places – from lecture call of students to a press conference with the president. Russians are not accustomed to smiling without a reason, let alone concealing bad moods and life issues under cheerful expressions. This is just insincere, many Russians say. In public places, they prefer to maintain a concentrated expression. However, when Russians find themselves among friends, colleagues or close relatives, they could instantly become the most radiant cheerleaders, with inexhaustible laughter and joking. The world knows that Russia is a country of the most beautiful women. Natalia Vodyanova, Maria Sharapova, Anna Kournikova, and many more Russian celebrities are living proof of this. Russians treat women in a special way. A man will give up his place to a woman in public transport, prevent a door closing too fast near a woman, and offer his hand to help a woman get out of a car. This is viewed as gallantry rather than infringement of women's rights or playing down their business skills. However, gazing at passing women in public places, pursuing them, paying obtrusive attention, or whistling are regarded as insults. Russians are generally very cheerful people. They love joking, pulling each other's leg, and telling funny stories. They value good humour and satire and are capable of joking at their own expense. Russians often use citations from popular movies, in particular, Soviet comedies which are loved by almost everyone, regardless of their age. Sometimes, in order to understand Russian jokes, you need to just go and watch Soviet movie hits – Love and Doves, Moscow Does not Believe in Tears, The Pokrovsky Gate, The Diamond Arm, and many more. Going to the banya (a sort of sauna) is a special pastime for Russian men and women. They believe that time in the steam room cleans both your body and soul. 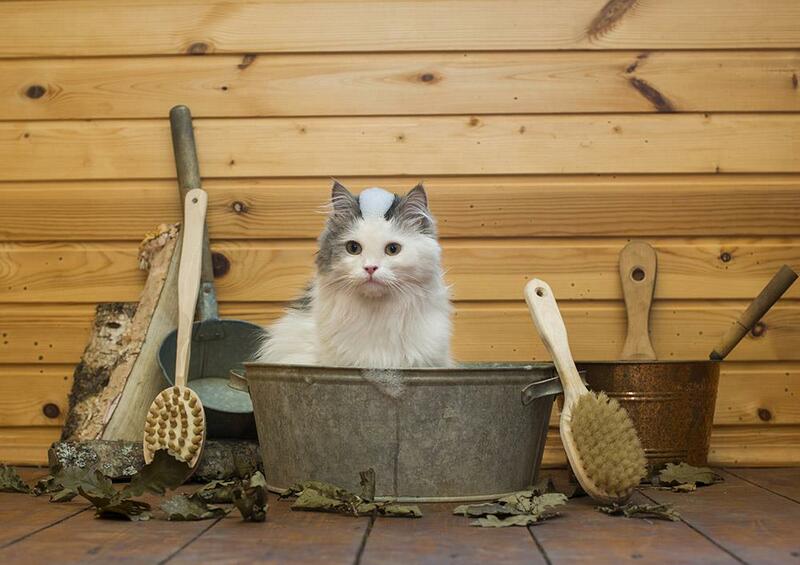 Russians go to banya for not only to wash, but also to spend time with their friends. 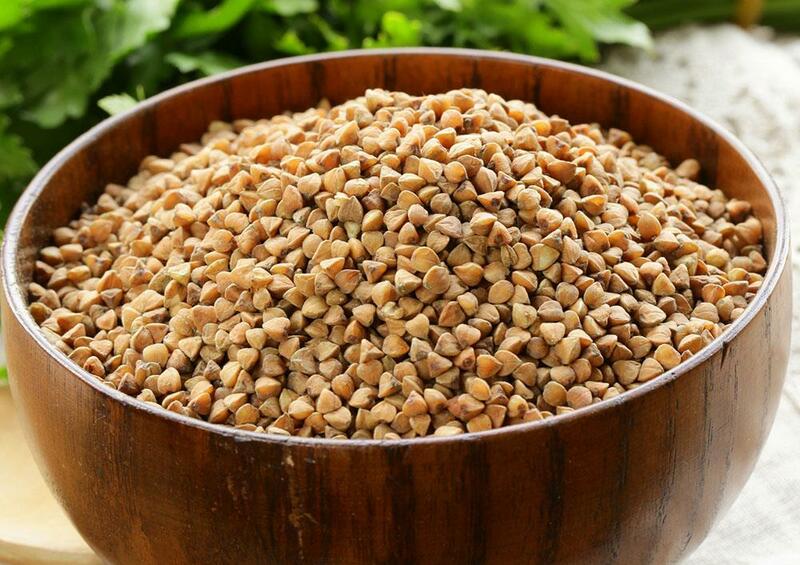 The banya procedure includes selecting good company, washing, and sitting in the steam room. The longer you stay there, the better your health becomes and the stronger you become in spirit. After the steam room, people dive into an ice-hole or ice-water pool. 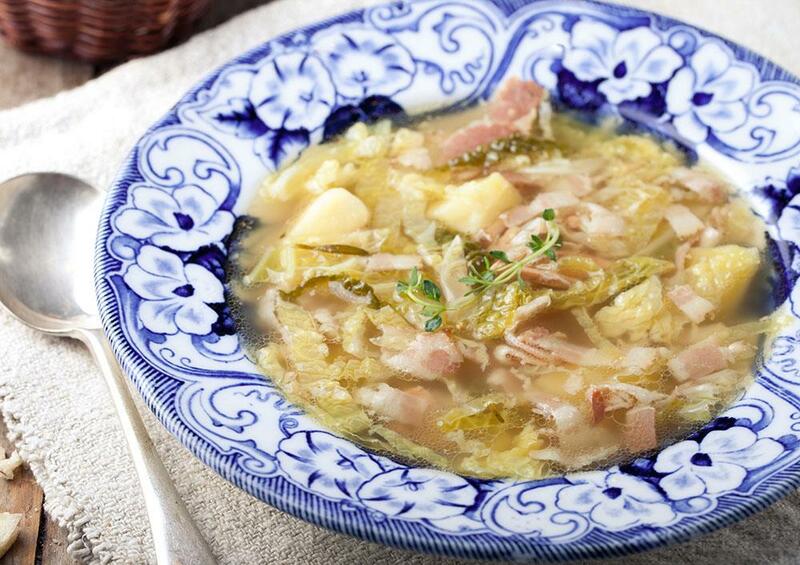 After you finish the banya procedure and come out red-faced, you'll traditionally be greeted "S legkim parom!" (something like "Enjoy your steam!"). 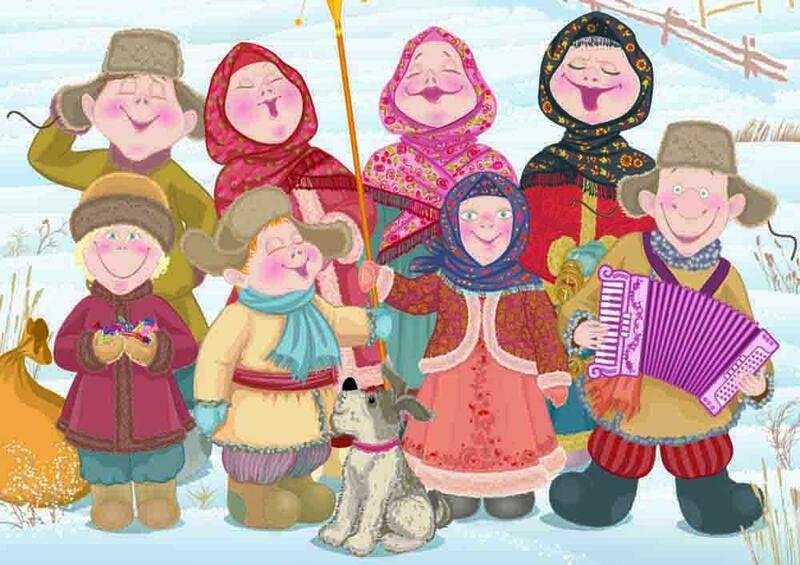 Every year, Russians celebrate more than 50 official holidays – both national and religious celebrations and various professional and commemorative occasions. The Russians have a place to roam in the literal and figurative senses of the word. This is the most important and most beloved holiday, with a New Year tree, presents, long family dinners, and magnificent fireworks. It is celebrated on the night before January 1. 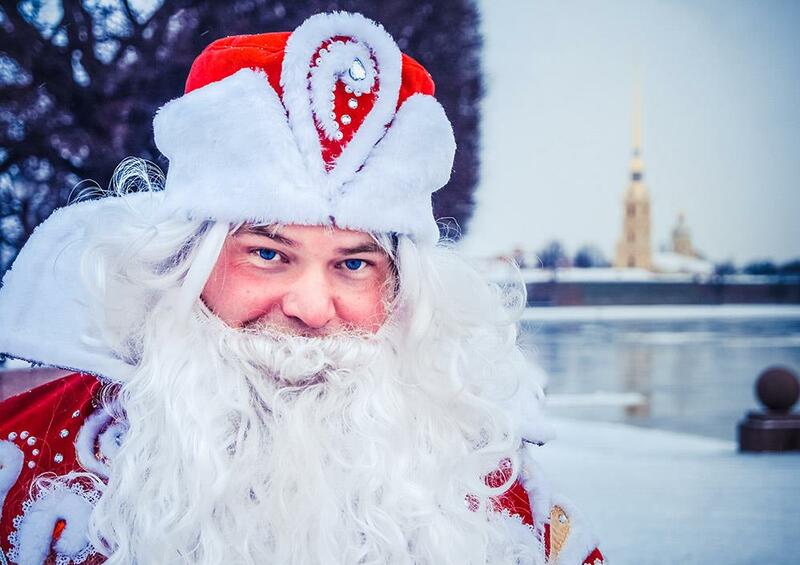 The main features of the Russian New Year are kind Father Frost and his granddaughter the Snow Maiden, champagne, caviar, Olivier salad, the chiming clock of the Kremlin, and the President's greetings on TV, and watching the seasonal Soviet comedy "The Irony of Fate." This religious holiday is the second most important after Easter. In the night on January, 6 to January, 7, Orthodox churches across the country hold celebratory services. For Christmas, people decorate their houses and host a festive dinner. People often dabble in fortune-telling and single girls try to learn the name of their intended ones. Christmas prophesies are believed to be the most accurate. It is celebrated on January 25. In 1775, on the day dedicated to the early Christian martyr Tatiana of Rome, Elizabeth, the Russian Empress, signed a decree establishing Moscow University (now MGU for short), which subsequently became a centre for Russian science and culture. 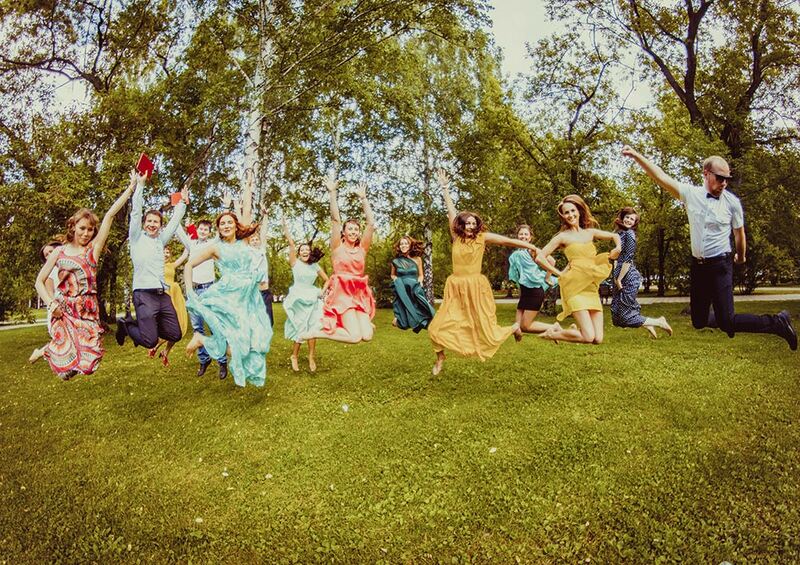 Now the university's birthday has become a holiday for all Russian students. In 2005, the status of this day was confirmed officially. On this day, university students recall their patroness Tatiana and celebrate the end of the winter exam session. Every city and university has its own traditions: amateur performances, balls, exhibitions, games, free refreshments, and entertainment. In Soviet times, this was the Day of the Soviet Army and Navy, and all military personnel were congratulated. In today's Russia, February 23 is a holiday not only for military personnel, but also for every man, regardless of whether or not they completed military service. In addition to greetings, men can expect gifts from colleagues and their loved ones. Russians love to joke: a woman choosing a present for February 23 knows that it will influence the choice of her present for March 8 (Women's Day). 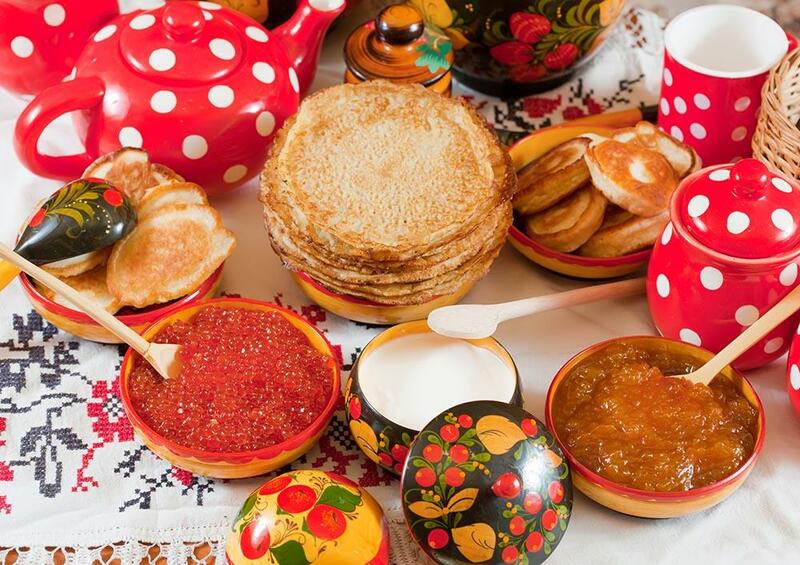 This is a traditional Slavic holiday to see off the winter and welcome in the spring, also known as Butter or Crepe week. It is celebrated in the week preceding Lent when people visit one another to eat pancakes. 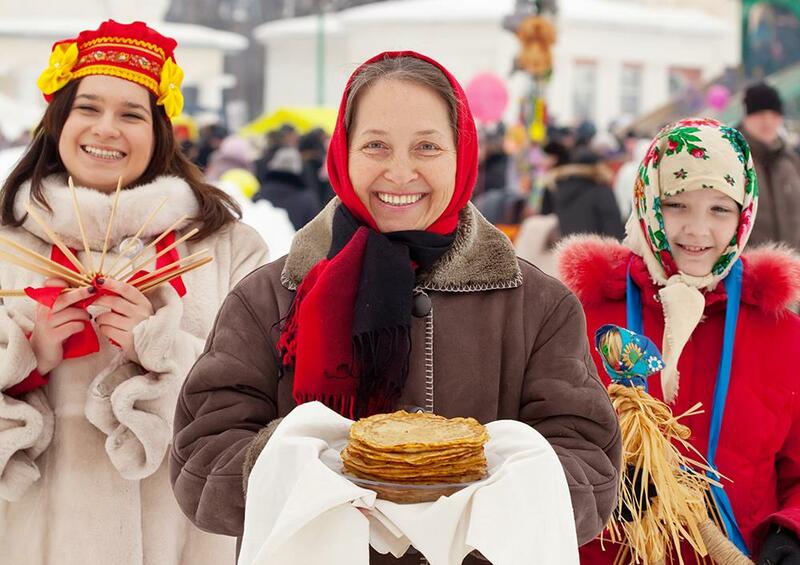 On the seventh day of Maslenitsa festival, people gather for open-air merrymaking and the farewell to winter, when a Maslenitsa puppet is burned. Now it is simply referred to as Women's Day. On March 8, all women of the country, from little girls to grandmas, receive greetings and signs of admiration. They are told nice things and receive flowers and presents. 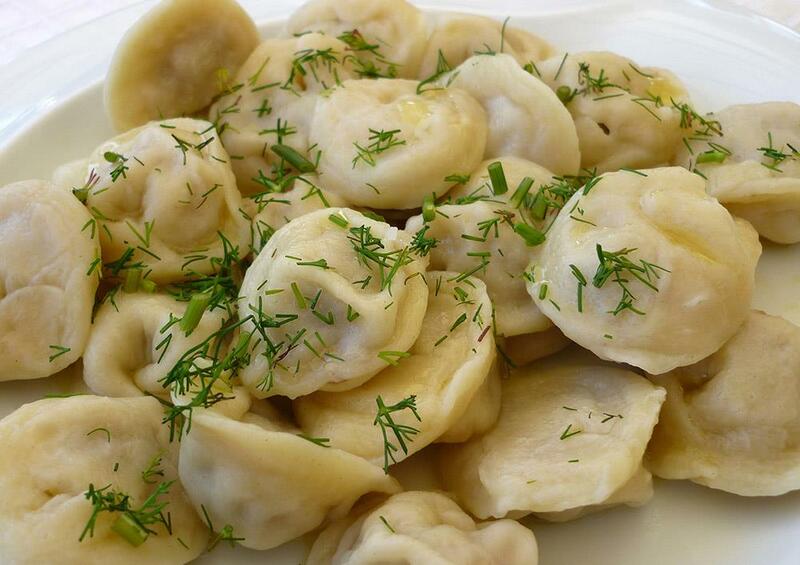 This ancient Christian holiday is celebrated in Russia in early spring. On this day, Orthodox churches conduct celebratory services and people greet each other "Khristos voskrese!" (Christ has risen) and answer "Voistinu voskrese!" (Verily he has risen). 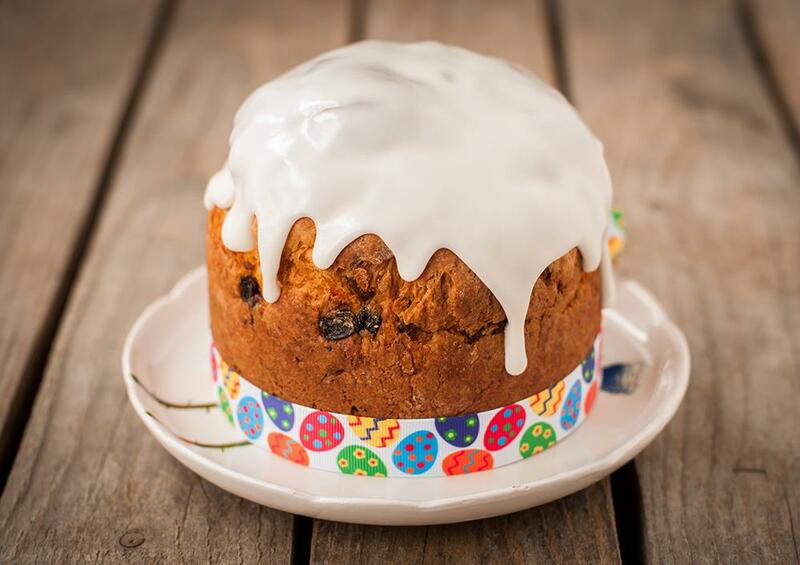 Specially for Easter, people make or buy a kulich (a ritual cake) and paskhas (a ritual pudding) and dye eggs. In Soviet times, May 1 was known as International Workers' Solidarity Day. It was an official holiday with a distinct ideological colouring. The main features included mass demonstrations along the main streets, including Red Square in Moscow, with loud marches, and greetings from the Communist Party leaders on platforms. Now it is called Spring and Labour Day. Trade unions organise demonstrations designed to protect the rights of working people. This is a major holiday in the country. 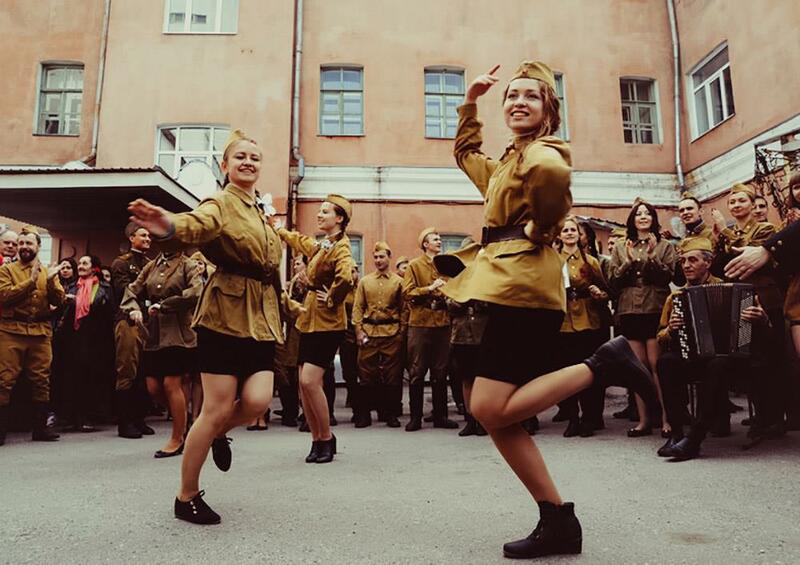 On May 9, Russians celebrate victory over Nazi Germany and the end of what is known as the Great Patriotic War (1941 to 1945). Large-scale celebrations are held across the country, including the march to the Tomb of the Unknown Soldier in Moscow, military parades in many cities, including Hero Cities, fireworks, and performances. It is celebrated on June 12. Performances and other events are held across the country. Russia Day was established in 1990 to commemorate the adoption of the Sovereignty Declaration of the Russian Federation. Representatives of Russia's varied religious confessions have their own set of traditions. For instance, Muslims observe Ramadan (one-month fast) and celebrate Uraza Bairam (end of the fast) and Kurban Bairam (spring sacrifice); Hebrews celebrate Khanukkah (candle holiday) and Pesach (Jewish Easter); and Buddhists, Sagaalgan (White Month, Lunar New Year) and Zula Khural (Thousand Lamps). 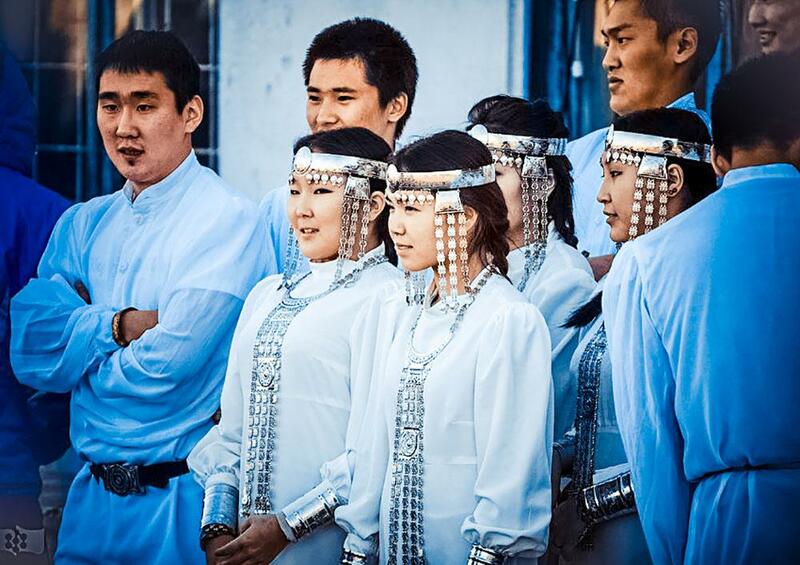 Some regions of Russia have established religious dates as official holidays, such as Tatarstan (Uraza Bairam and Kurban Bairam) and Buryatia (Sagaalgan). Students of Russian universities, including international students, can expect several types of discounts. Full-time students of state-accredited Russian universities are entitled to reduced tariffs on public transport (metro, bus, trolleybus and tram). The discount is quite significant: if a regular unlimited monthly metro pass costs 2,000 roubles in Moscow, a student pass costs just 380 roubles (prices as of 2017). The discount is valid throughout the year. To obtain it, you have to apply for a student ID card or a student social card (depending on the region) at ticket offices or social protection centres (depending on the region). You usually have to present your passport and student ID card. Contact your university for details. While you are arranging a concessionary travel ticket, you can still save by taking advantage of preferential rates. More details in the Transport section. Full-time students of Russian universities have the right to a 50% discount for travel on suburban trains (within a single region). The discount is valid from 1 September to 15 June inclusive each year. During ticket checks on public and suburban transport, in addition to your travel pass (or single-journey ticket), you need to present a valid student ID that confirms your right to the discount. 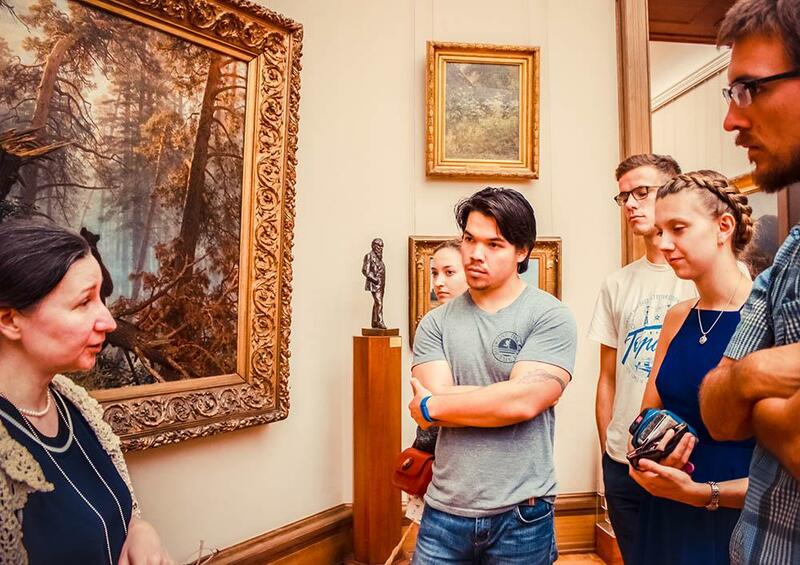 In Russia, when visiting museums, students are offered a number of discounts, from reduced ticket prices (for example, at the Tretyakov Gallery and the Pushkin Museum) to free passes (such as to the Hermitage and the Kolomenskoye Museum). More information about discounts and promotions, including free entry days, can be found on the museums’ official websites. Don't forget that you need to present a valid student ID card to get a discount. Each year in May, many Russian cultural attractions are also open to the public free of charge as part of the Night of Museums. Visitors can attend offered special exhibitions, seminars, lectures, workshops, concerts and much more. 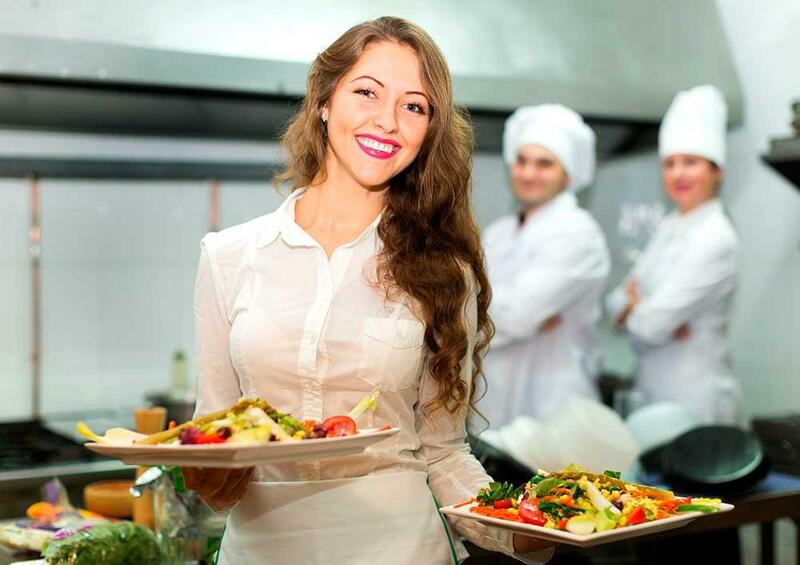 Discounts for students are frequently offered by a variety of companies (domestic and international) and service providers. Get more information about sales and events in store and online. Many stores distribute leaflets at universities, libraries, and cafes. Special promotions often run on the eve of student holidays and at the start of the academic year. 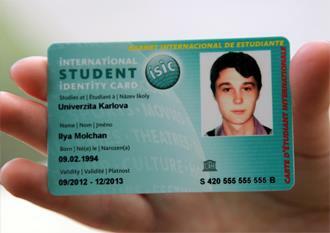 The international ISIC card is more suitable for those who plan frequent travel abroad during their studies in Russia. 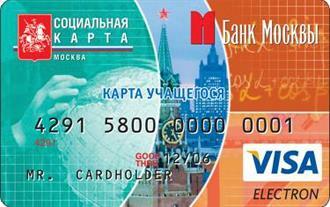 The card offers discounts in more than 130 countries worldwide, for which Russian university ID cards are not valid. The ISIC card gives you free access to museums, theatres and cultural centres in participating countries, as well as discounts on holidays and air travel, hotel and hostel accommodation, training courses and educational programmes, and shopping offline and online. In Russia, ISIC card holders are eligible for more than 3,000 discounts, some of which are also granted upon presentation of a regular Russian student ID card. Before purchasing the ISIC card, make sure you read through the available offers on the Russian version of the ISIC website – it’s possible that a Russian student ID card may sufficient. In Russia, healthcare is provided by the state and by private companies. You need a health insurance policy in order to be treated at state hospitals and health centres, including student clinics. Private clinics admit patients without insurance as long as they cover their own expenses. Only first aid and emergency medical care is available to foreign citizens in Russia free of charge. First aid in case of emergency (accidents, injuries, intoxication and other) is rendered by police officers, military officers, fire and rescue service workers and other appropriately trained individuals. Emergency medical care in cases of immediate threat to life and health (accidents, injuries, intoxication and other) is provided by officers of public healthcare institutions (doctors stabilise the patient’s condition and further treatment is possible only with a valid policy or payment of expenses). All other types of medical services are rendered on a fee-paying basis. 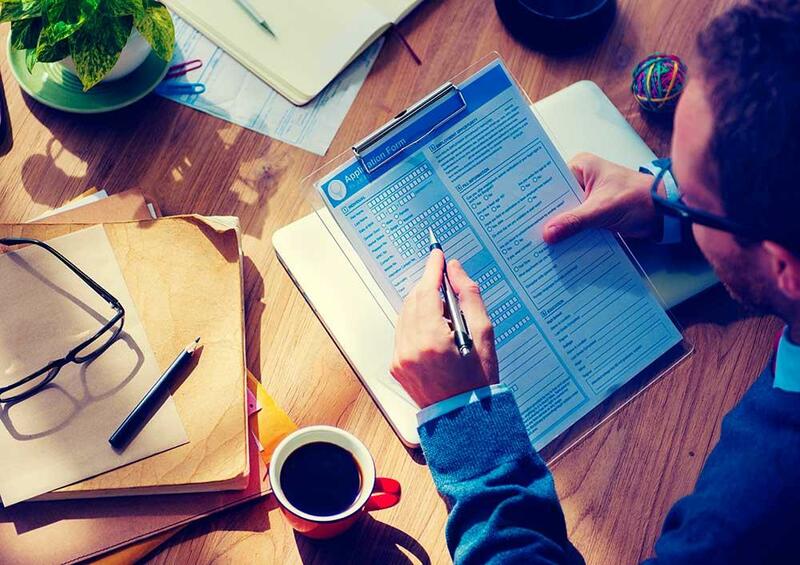 To receive these services, international students must obtain insurance covering routine treatment including check-ups, tests, prescriptions and specialist consultations. International students typically come to Russia for quite a long period (from one term to 4-5 years) which is why an ordinary travel health insurance policy from their country of origin is unsuitable. This type of insurance policy is not valid in the majority of Russian hospitals and under such a policy the patient often has to pay for the treatment themselves and apply for a refund from the insurance company only once they have returned home. This is very inconvenient for students who are studying abroad. © shutterstock.com Upon arrival in Russia you need to purchase a voluntary health insurance (VHI) policy, which covers the minimum of medical services required by Russian law (including out-patient and in-patient care, hospitalisation and transportation) and is accepted at clinics and hospitals located near the place of your studies or residence. In this case, you will not be required to pay to see a doctor as it would be sufficient to present your student ID card (or passport) and your policy. Before your departure for Russia, contact your university representatives and find out whether they provide assistance in obtaining a VHI policy. This is usually arranged by the international student offices. They will help you to arrange and obtain insurance from a partner company of university at a lower rate. You can also obtain a VHI policy independently from any Russian insurer, but it will be quicker and less expensive to arrange it through the university. According to the Russian law effective since 2016, foreigners have been required to take out health insurance immediately upon arrival in Russia. 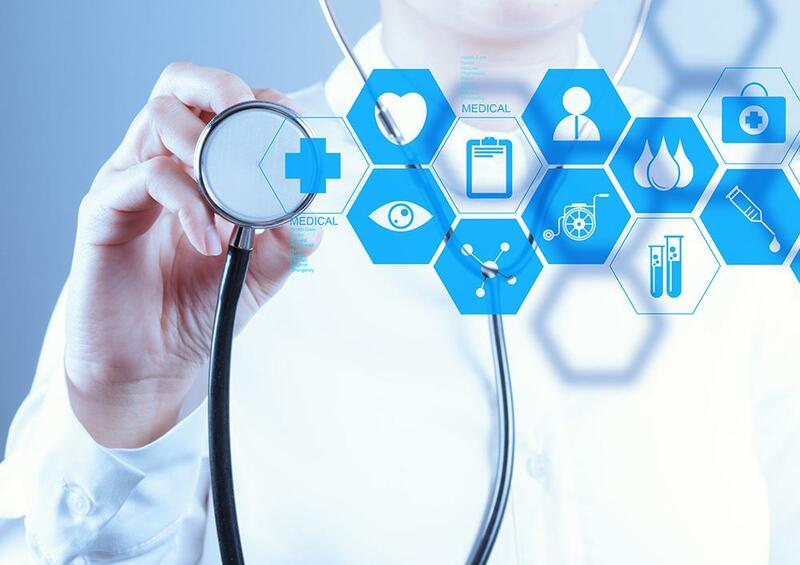 When taking out private health insurance remember that the minimal price for foreign citizens increased to 100,000 roubles (1,660 US dollars) from 1 May 2016. How much does a VHI policy cost? The cost of a VHI policy depends on the region, range of services (out-patient care, doctor call-out, emergency dental care, etc.) and the term of validity (from 3 months to 1 year). In 2017 Russian insurance companies offered Moscow students VHI policies for between 3,000 and 12,000 roubles (50-210 US dollars). What documents are required to arrange a VHI policy? Usually a passport and a migration card are required. In some cases a referral from the dean's office may be required. For further information please contact your chosen university’s international office or insurance companies. 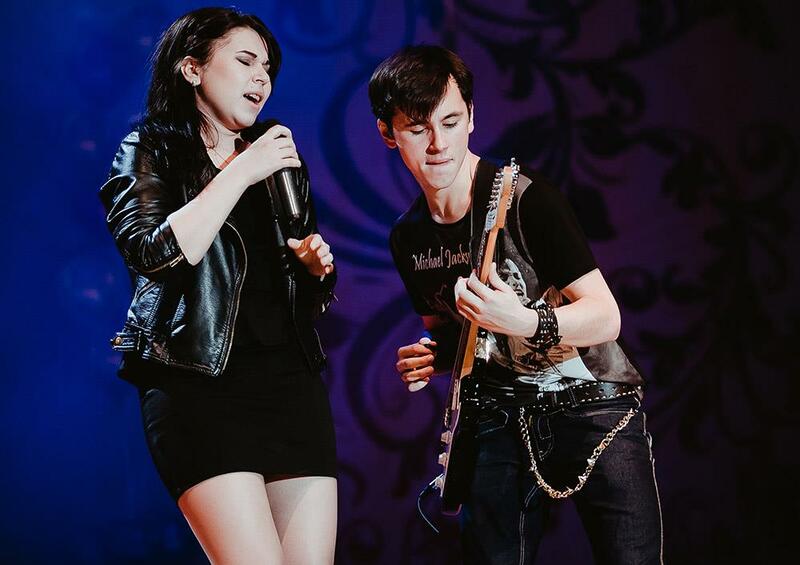 Russian students lead an active lifestyle: they go to concerts, attend festivals, competitions, sporting events, play in the student theatre... Whatever university you choose, you will always be able to find something you like, be it sport, entertainment, or something creative. 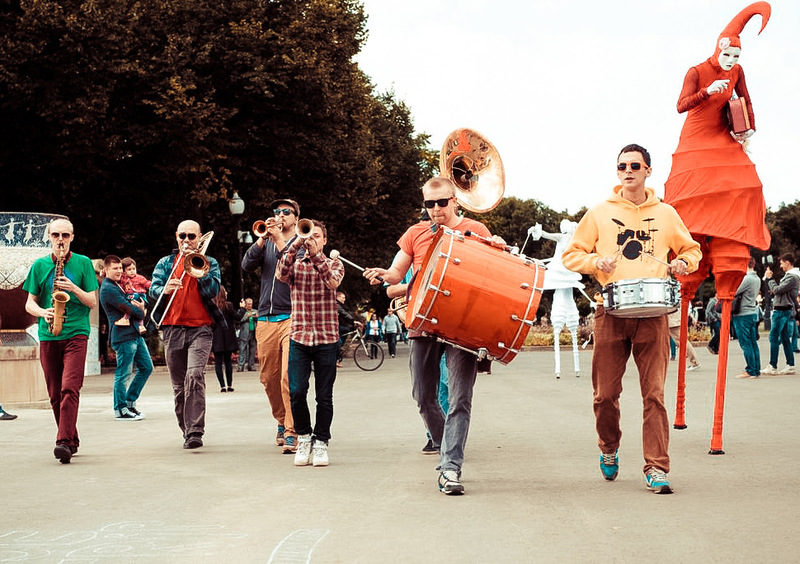 A variety of festivals for young people is held in Russia, including music, theatre, sports, ethnic, and linguistic festivals etc. Most students are not only the audience but also the participants of these performances – they sing, dance, appear in drama performances, and reveal their various talents. The most memorable event in the life of any student is the initiation ceremony for freshmen and graduation day. 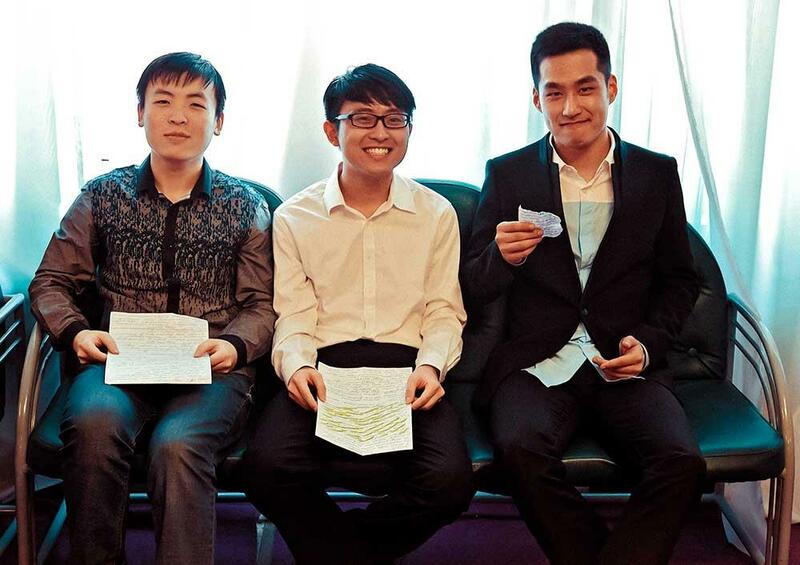 The third year is when students celebrate their Equator, that is, the mid-point of their university studies. The event features concerts, skits, and jokes. As a rule, each university has its own amusing rituals for freshmen and graduates. For example, Hippocrates himself greets medical students at their admission ceremony, biology students are given different liquids to try, such as tea, citric acid, etc., and are asked to determine the composition of the liquid, future journalists are offered to eat pieces of newspaper with jam. Graduates also have their funny traditions: for example, medical graduates place bandages on the monuments of prominent Russian scientists Sechenov and Pirogov, graduates of the faculty of journalism of Moscow State University climb the monument to Lomonosov, the founder of the University, and graduates of Bauman MSTU ride around student hostels in washtubs tied to cars. 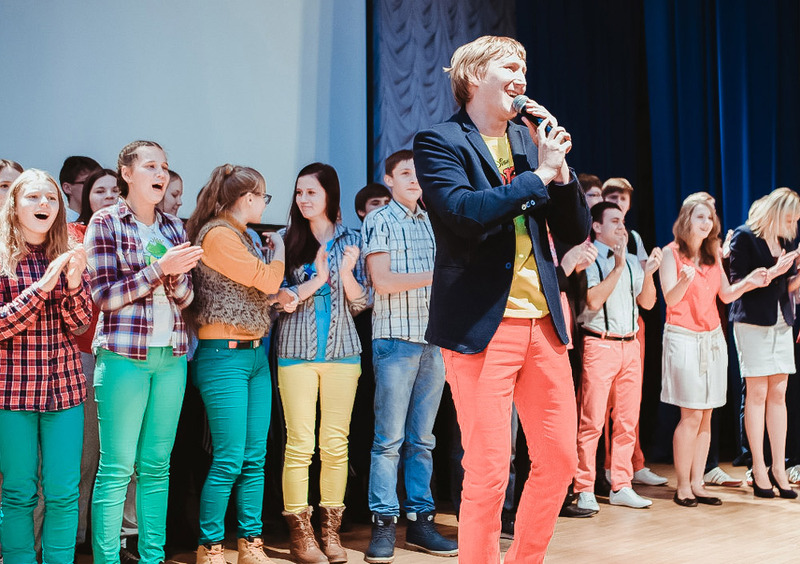 The Club of the Jolly and the Quick-Witted (KVN) is where students from different departments compete in humorous acts and perform funny sketches. The wittiest participants form the University KVN team, which plays in inter-university games and the all-Russian KVN. The best of the best get to participate in a KVN television show. 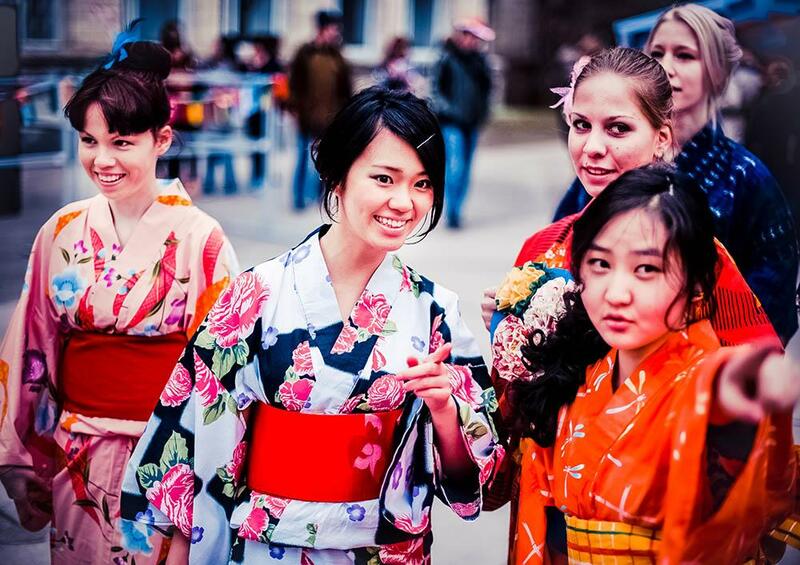 During the Days of National Cultures students from different countries tell other students about their home country, its culture, traditions, and national cuisine. 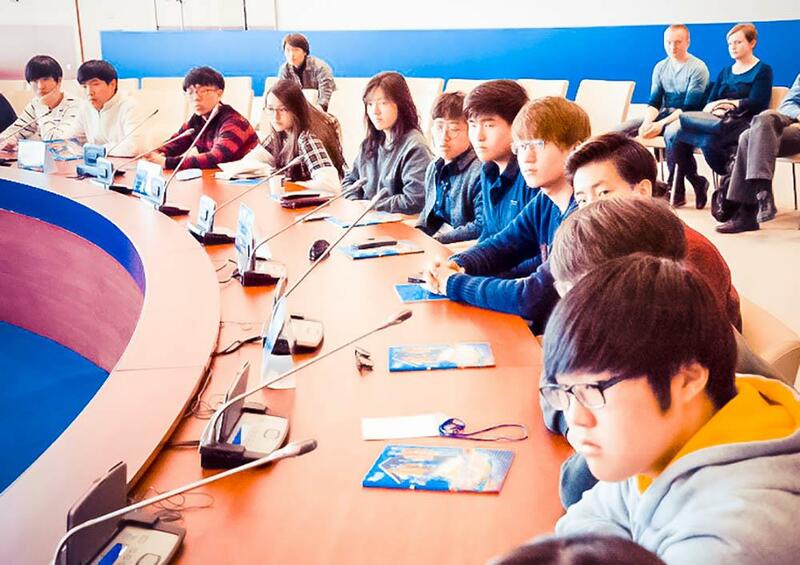 Such meetings broaden the students’ horizons and help them learn many fascinating new things. Universities run a variety of creative associations such as student theatres, bands, dancing groups, music and singing studios, etc. Even if you study physics or math, you can still enrol in a school of drawing or a literary club. Debating societies welcome those who like to debate on social and political topics or aim to share their views on the future of science. Some universities run intellectual quizzes. 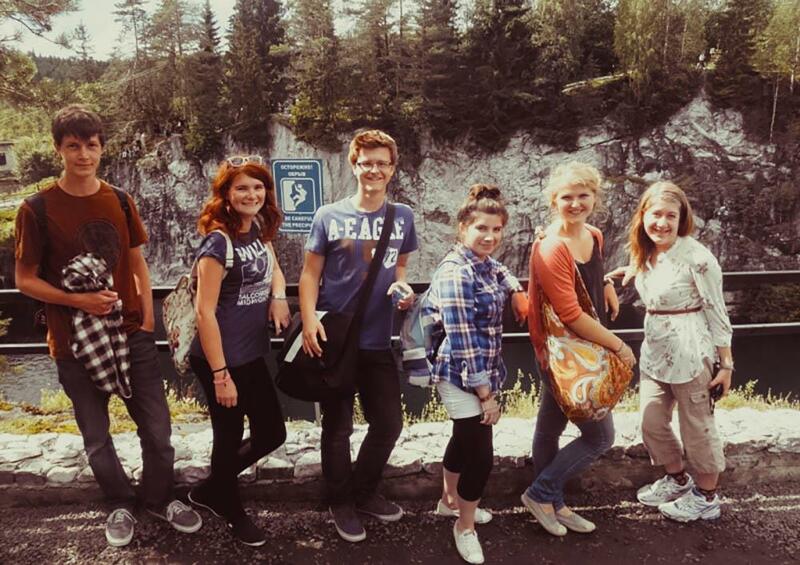 Universities have hiking and travel clubs, which arrange joint trips, walks and hiking tours. Everyone is welcome to join the community. Russian students often establish clubs and societies to suit every interest, from paragliding to chess, motoring or oriental games such as dice and backgammon. 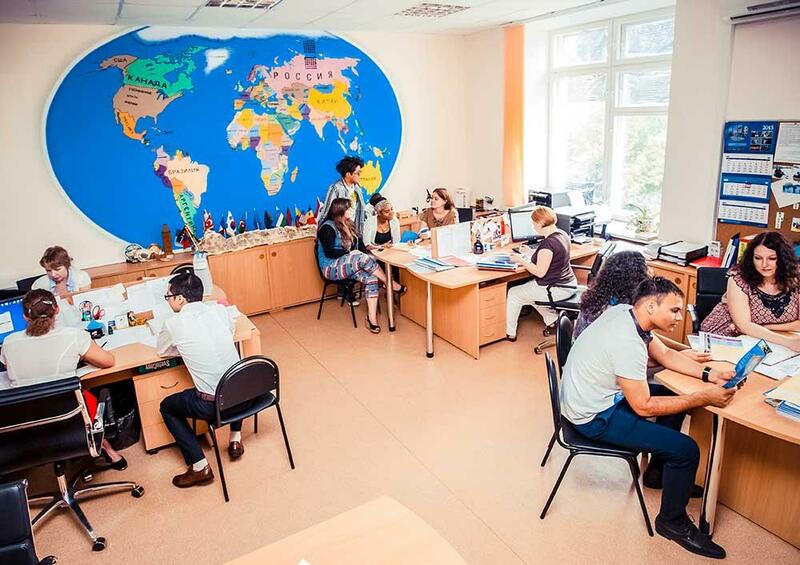 Universities have volunteer centres where students can learn about ongoing projects, initiatives, events, and volunteer internships in Russian and foreign organisations. There are opportunities to work as a volunteer in Russia and abroad. 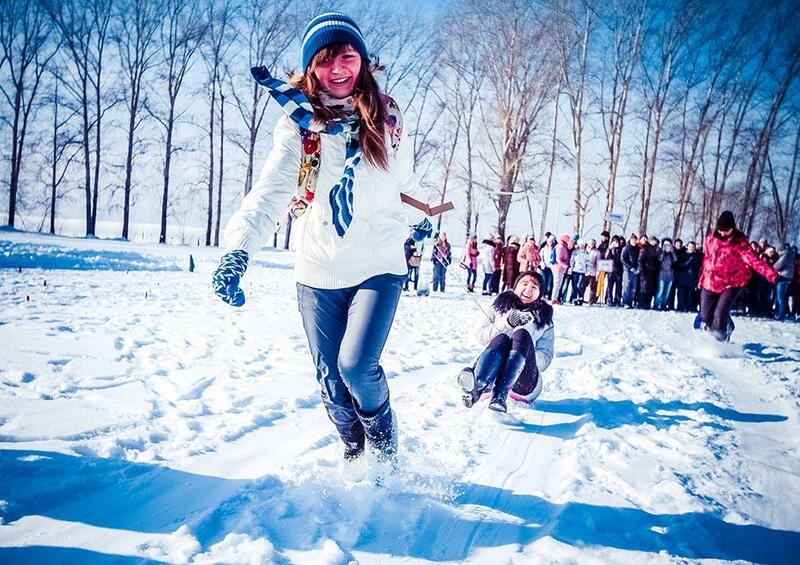 You can also find many communities in social networks devoted to volunteering in Russia. Join them and you will always be in the know when it comes to doing a good deed. When you enrol in a Russian university, you automatically gain access to its sports grounds, stadiums, sports complexes, swimming pools, fitness halls, and its sports community. You can get involved in amateur and professional sports alike. Each university hosts its own tournaments, competitions between departments, participates in intercollegiate, municipal, all-Russian and international competitions, including the Universiade. Are you into sports? Join a sports club at your university. The coaches who work with students are staff from the physical education departments, honoured athletes, winners of national and international competitions. Students attend university sports clubs for free. 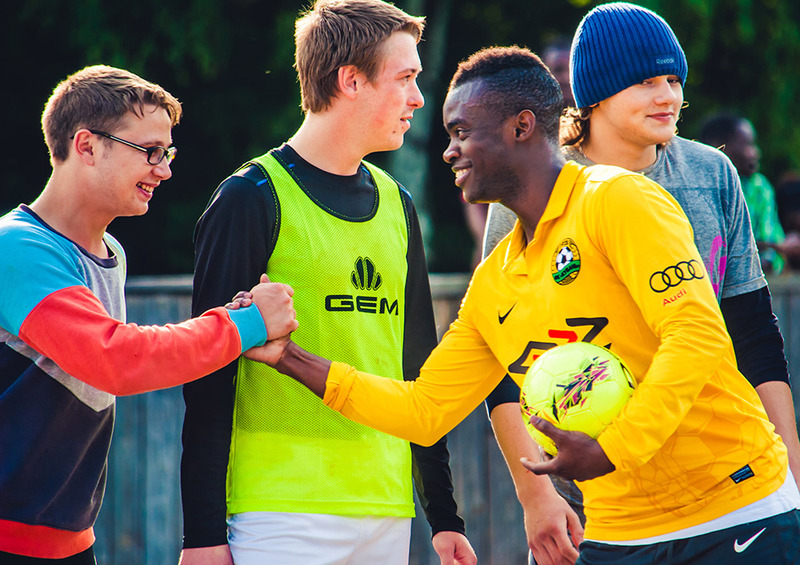 Students who achieve outstanding results in different sports become members of university teams. For information on sports clubs, visit the pages of universities on the Study in Russia website or on the Sports sections of the university website. You do not have to join a club to pursue sporting interests. You can visit sports halls and gyms (many of which are in the buildings of the dormitories), swimming pools and other sports facilities at the university at a convenient time and at a discount, or free of charge (depending on the university). 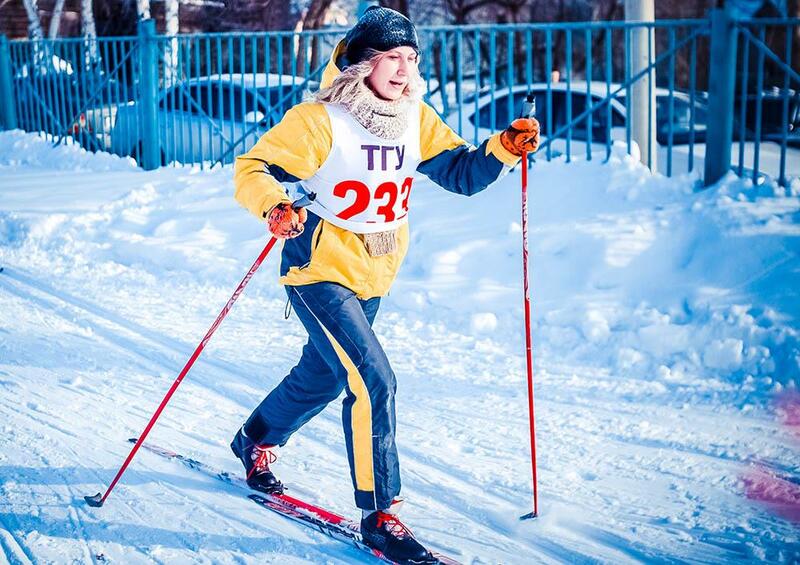 There are many opportunities for outdoor activities in Russia. Parks and public gardens are great places to go rollerskating, cycling or skateboarding. In winter, you can visit skating rinks or ski-runs. There are also climbing walls and suburban resorts. © FEFU Applicants from Belarus, Kazakhstan, Armenia, Kyrgyzstan and Ukraine need their national passport to visit Russia. Prospective students from other countries, including the CIS countries not mentioned above need an international passport to come to Russia. Visiting Russian compatriots1 also have to provide relevant ID. If a student changes their job before the end of the term of the current permit, they may work under this document at their next place of employment, but they must inform the General Administration for Migration Issues of the Interior Ministry of Russia of such changes. What happens if I work without the requisite documents? Foreign citizens who work without a permit face fines from 2,000 to 5,000 roubles. In Moscow, Saint Petersburg, Moscow and Leningrad regions, the punishment includes a penalty of 5,000-7,000 roubles and deportation from Russia.